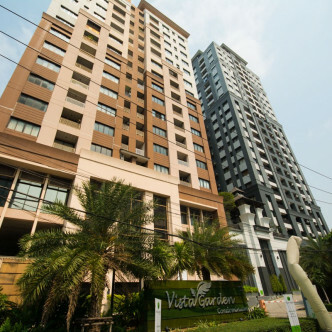 Constructed in 2013, Vista Garden is a stylish high rise building that boasts 22 storeys. 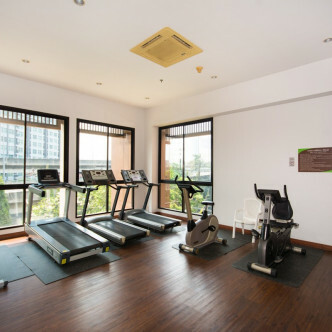 There are 280 spacious units for residents to choose from here, all of which come fully furnished with plenty of modern conveniences such as microwaves, en suite bathrooms and balconies. 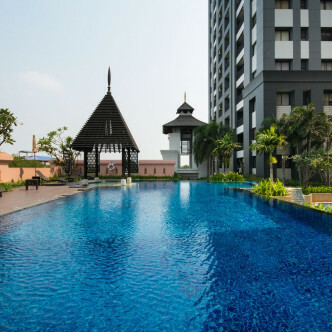 One of the most striking facilities for residents to enjoy here is the pretty garden that flows seamlessly into a large swimming pool boasting stunning city views. 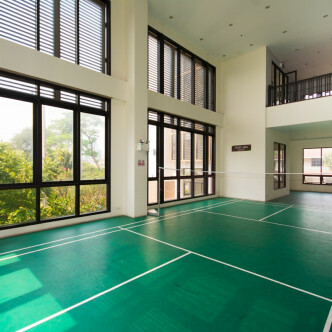 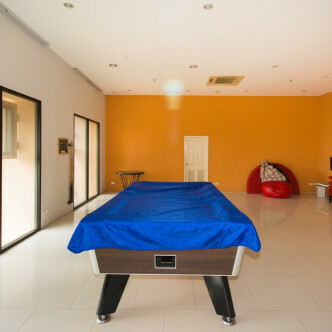 Residents who love to socialise will want to make use of the pool party area and meet in the badminton court, while playing pool in the games room is a great way to unwind. 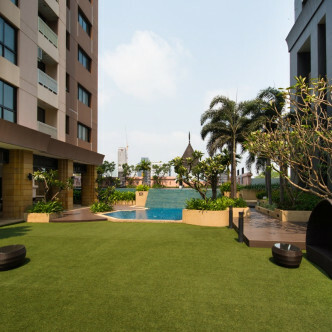 It takes a little over ten minutes to walk to Phra Khanong BTS station, which gives residents of Vista Garden a good location for exploring the city. 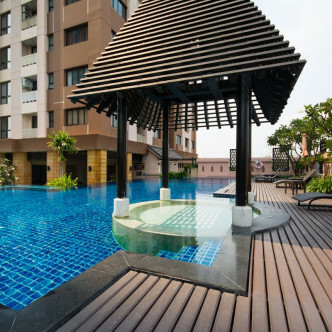 There are lots of prestigious schools in the area, while the nearby Jusco Department Store and Siam Future Town Centre provide plenty of shopping and leisure options.